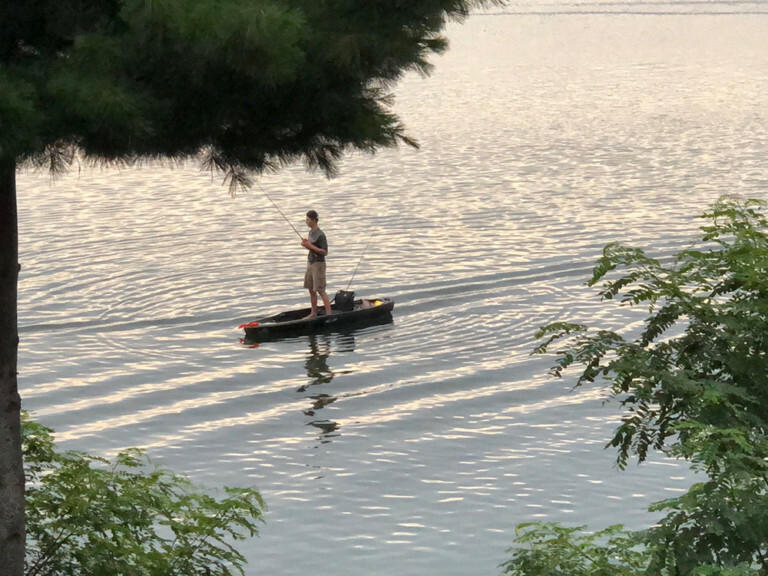 Hunter Durbin got some “me time” out on his kayak. 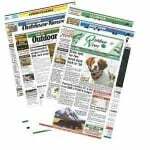 Most of the time when a person talks about an “Up North” family vacation, they’re talking about Wisconsin destinations like Eagle River, Phillips, Minocqua, Hayward, or Rhinelander – and those are all fine places to spend some time. In fact, when looking for a place for this summer’s trip between kids’ baseball and football seasons, those places all were Googled first. The problem was that most everything that could hold my wife Lisa and kids Hunter and Blake, Lisa’s folks Ken and Suz, and her sister’s family – Dana, Glenn, and kids Autumn, Grayson, and Macie – was booked. I started looking on the VRBO website and up popped a place called Little Minnows in Wautoma, on Silver Lake. Silver Lake isn’t huge at 328 acres, but that was OK, because I figured it would be easier to figure out what spots had the most fish. Nick Thomas, the owner of the house, lined me up with a buddy of his, Dan Gosenheimer, who does a little guiding between his day job with his door service and general maintenance business. We started off fishing wacky rigs and topwater lures on some weed points early in the day. Some nice fog cover let us stay on active fish a little longer. 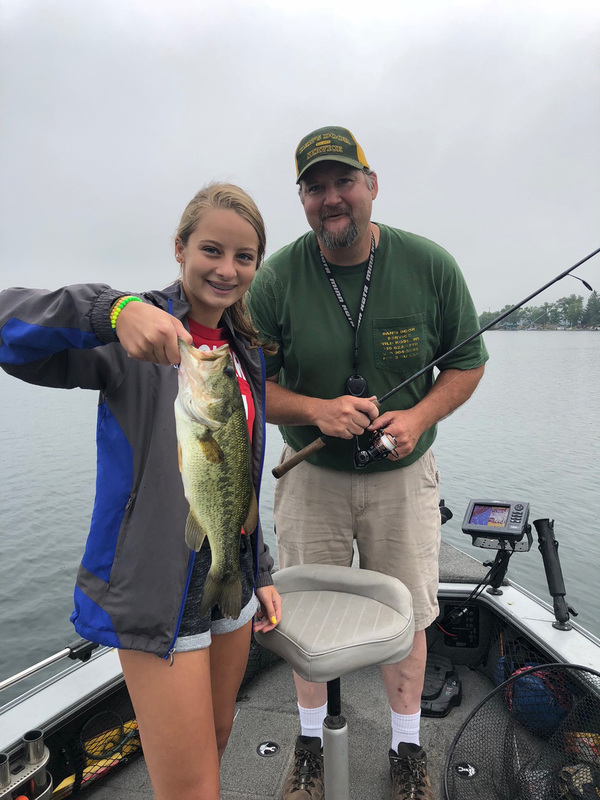 Autumn Lazich and Dan Gosenheimer with one of about 30 bass caught one morning on Silver Lake. He didn’t have to ask twice. It was a frenzy of topwater activity that I hadn’t seen since I was fishing with my dad down in Englewood, Fla. The bass weren’t huge, but they crushed baits on just about every cast. My niece, Autumn, got up early to fish, while the rest of the young’uns slept in. Autumn caught a bunch of bass. Even though we were doing well with the wacky rigs and topwaters, Gosenheimer switched to a drop-shot rig and cast out beyond the weed lines onto about an 18-foot flat. He barely moved the bait; almost dead-sticked it. So, Autumn and I cast shallow and worked the baits to the deep weedline while Gosenheimer cast out the front of the boat into deep water. Based on the fact that his rod was bent over like a maple branch in a thunderstorm, I knew what he had on was more than our 14-inch average. In fact, the fish bested 4 pound and 19 inches. Wautoma’s Silver Lake may not have had loons and cottage-free shorelines, but we had great fishing, great stories, and all under a 90-minute drive from home in the West Bend area.